There are currently 91,380 users on this website. This is a first issue denarius of 86 CE. 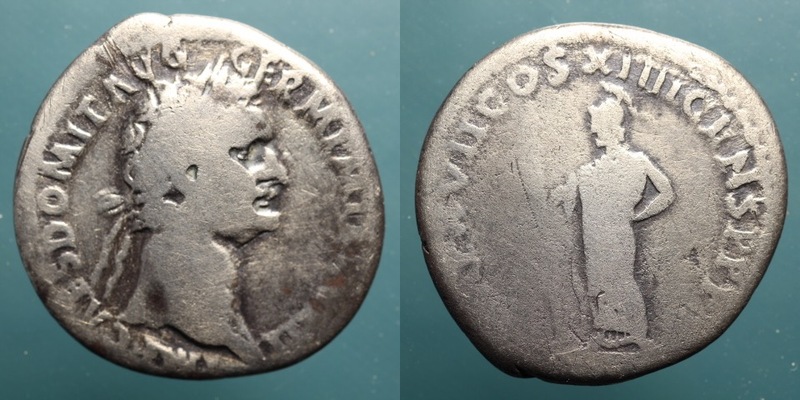 The denarii of 86 are quite scarce to very rare with the exception of a few examples in the first issue. I love the style of the portrait on this coin. The reverse may be weak but the obverse is delivered in fine style. IMP CAES DOMIT AVG GERM P M TR P V, head laureate right; IMP XI COS XII CENS P P P, Aventine Minerva replica (#7936;πεικ#972;νισμα) standing right on processional litter (ferculum), with spear and shield, owl to right (M2). In an earlier thread I posted RIC 655. A very rare example with IMP XVI on the reverse also from 88 CE. This one is very slightly later (after November 7 of 88) and is rare but not as elusive as RIC 655. It is a worn coin but it still has a nice look to it. Interesting that the later of the two looks more like Vespasian/Titus than the early one. Interesting observation @Ben. I think you are right though I do not know the reason. It could have been the whim of the engraver. 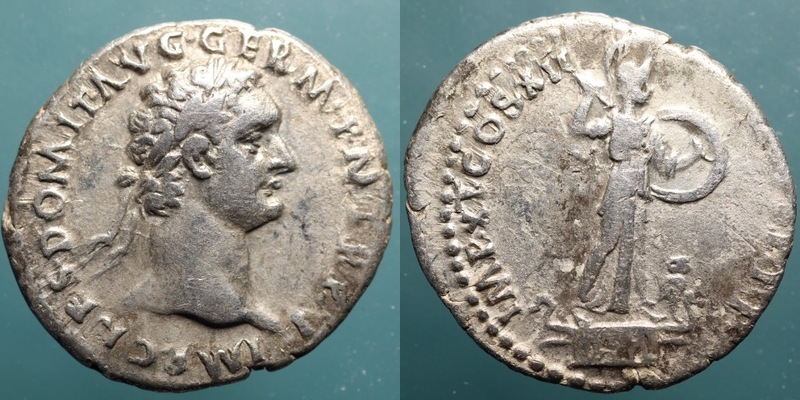 However, there are other examples of Domitian denarii with that very prominent nose. These are earlier issues. The speculation is that Domitian must have seen the early issues and then ordered a change to be made so the portraits were more flattering. This does not explain this later issue however.